We are glad to present the Wearable Cape Banners addon, adding special banners to Minecraft that you can wear as capes! These are fundamentally new items that spawn randomly. As soon as you find such a banner in Minecraft Bedrock, just approach it and it will be on your back! In addition, you can paint it in any available color. 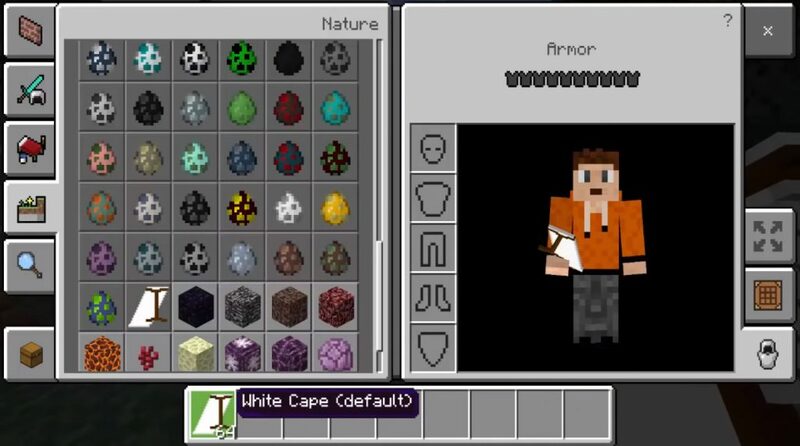 This addition introduces a completely new item to Minecraft Bedrock, which functions similar to a cape, but looks like a banner! Just go to him, and he will automatically be on your back. You can also paint the banner in 25 different colors / patterns! Reworked some textures and models of banners.